Fishing boats laid up in Newlyn because fuel was too expensive. They include 'Elizabeth Ann Webster', 'St Clair', 'Marie Claire' and 'Elizabeth Caroline'. 'St Clair' was later taken to Australia - she steamed over. 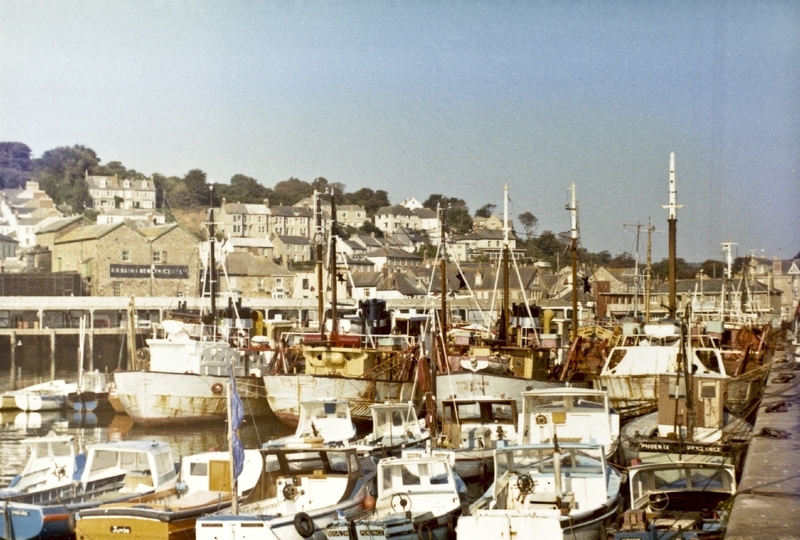 Billy Stevenson, “Fishing Boats, Newlyn, 1973,” cornishmemory.com, accessed April 20, 2019, http://cornishmemory.com/item/STE_1_002.